Did He to make the lamb, make thee? 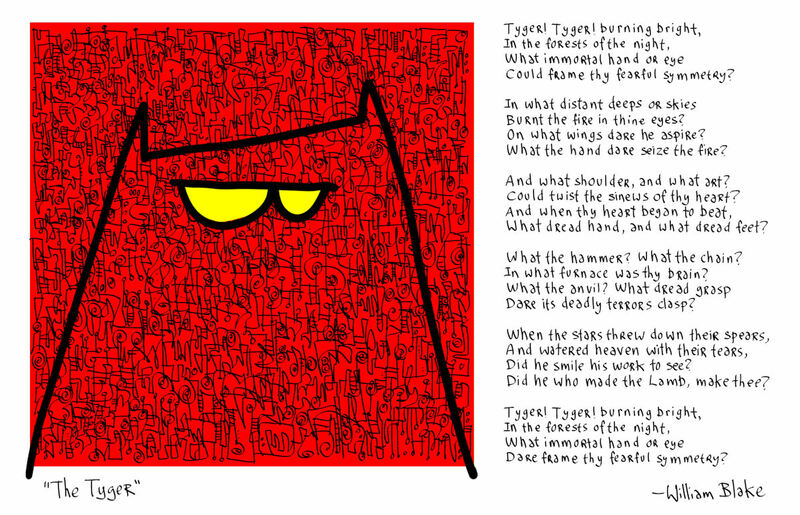 This is a keeper from Hugh MacLeod. Mom-and-pop franchising is unsafe at any brand because on a pre-sale basis, an accurate measurement of potential in-term business risk is impossible to do. Brazen, Bull & BS litigation: Who said Tyranny enablers lack a sense of humour? Torture is a technology of tyranny. The message is intended for those foolhardy enough to think of resisting a tyrant’s wishes. It is the affect on the majority not the tiny numbers of actual victims. Torture creates a prison without bars and there are both physical and psychological types of torture. 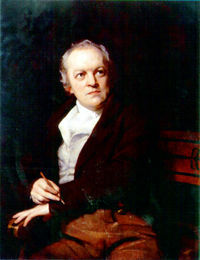 William Blake suggests that lies and deceit: forges fetters for the mind. 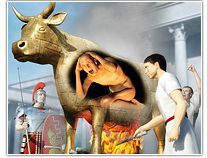 Brazen Bull was a form of torture that was popular for a few centuries that I was not aware of. …cast a bull, made entirely of brass, hollow, with a door in the side. 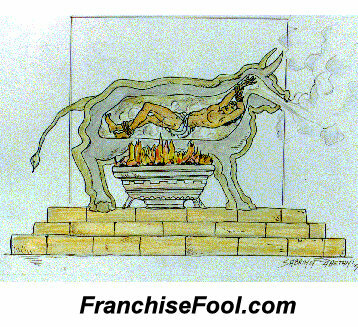 The condemned were shut in the bull and a fire was set under it, heating the metal until it became “yellow hot” and causing the person inside to roast to death. So that nothing unseemly might spoil his feasting, Phalaris commanded that the bull be designed in such a way that its smoke rose in spicy clouds of incense. The head of the ox was designed with a complex system of tubes and stops so that the prisoner’s screams were converted into sounds like the bellowing of an infuriated bull. It is also said that when the bull was reopened, the scorched bones of the remains shone like jewels and were made into bracelets. Perillos believed he would receive a reward for his invention; instead, after freeing him from the bull, Phalaris threw him from the top of a hill, killing him. The lesson here is that anyone that invents new ways to enable tyranny, should not expect either laurels or a quiet death at a ripe old age. It appears to have taken the lives of some martyrs, notably Saint Eustace (and family), Saint Antipas and Saint Pelagia of Tarsus in 287.
the device became more sophisticated. This form of torture was similar to being boiled alive but the without the visible fuss. A party game like Pin the Tail on the Donkey. Lawsuits are simply there to provide an illusion of remedy (pretense of remedy) which is not without entertainment value to a decaying empire’s elite. For the longest time I thought the main fight was between the franchisors and the franchisees. The more I looked into it, the more this bad guy :: good guy idea stopped explaining the behavior I was seeing. And then I started to go over some authors that I had, as a young man, been unable to understand. 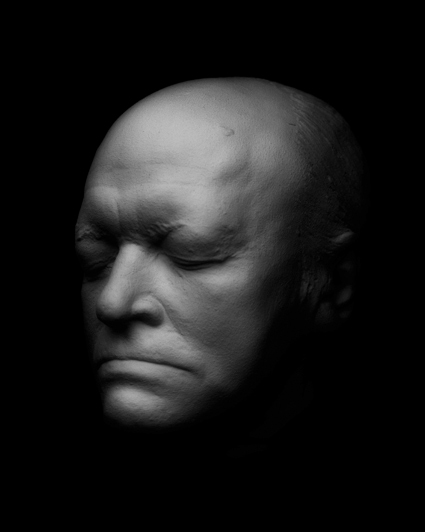 One of them was Northrop Frye who wrote Fearful Symmetry: A Study of William Blake in 1947. 2. Tyranny is the co-operation of parasite and host; no tyrant maintains itself by force, but by trading on his victim’s fears. So although “A tyrant is the the worst disease, and the cause of all others,” the tyrant can at any rate be seen, and the imagination can handle anything that can be seen. There are no Bystanders: The tyrant and the tyrant’s apologists prey on the victim’s fears. The victim builds the fears up and assists in forging his own chains. The franchisor and his priests [franchise bar] trade on the franchisee’s fears. The “victim” franchisee responds by wanting revenge for his “wrong”. The Curse of the Law:“…the endless working-out of a decimal proved milleniums ago to be recurring.” If that isn’t the best description I’ve ever seen of the wasted time and money in a legal approach to franchising problems. My experience is this approach just ends up in bitterness and pain. I’ll cover Blake’s idea of the Visionary role in another posting.